At 12.125" in length Radeon HD 5970 is very long and isn't going to fit in all the cases on the market today. For a size comparison here are all the Radeon HD 5000 series cards lined up. 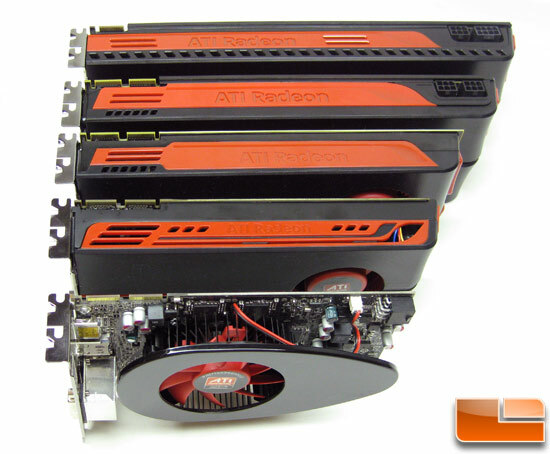 From top to bottom you have the Radeon HD 5970, 5870, 5850, 5770 and the 5750. You can clearly see how large the Radeon HD 5970 is compared to the other cards. It has a good inch on the Radeon HD 5870! Flipping the Radeon HD 5970 over, we can see where the two Cypress XT GPU cores are located. That is about all you can see on the back as it is covered by a large black plate. 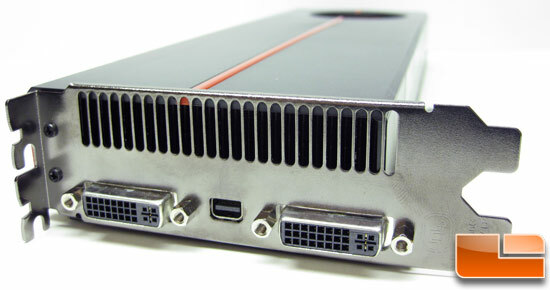 The Radeon HD 5970 has a pair of dual DVI-I outputs and a single mini-DisplayPort connector. This is something to point out as if you want to run a third monitor or an AMD Eyefinity setup you'll likely need a miniDP-to-DP adapter. 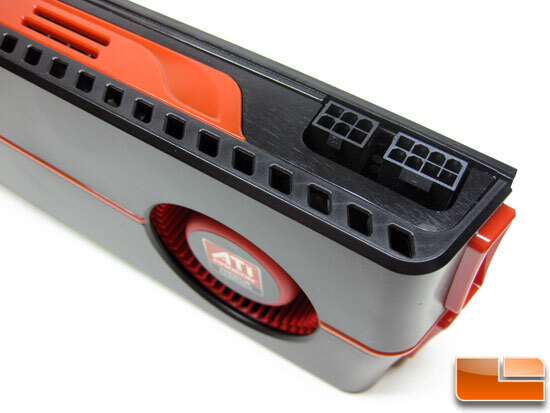 You might have noticed that unlike on the Radeon HD 5870/5850, the HD 5970 uses an entire slot of the card to exhaust the hot air from the cores. Since this card has two cores on it the engineers wanted to make sure it was kept nice and cool. 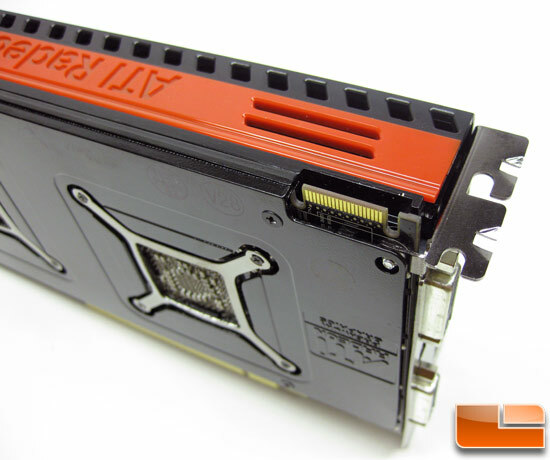 The Radeon HD 5970 requires an 8-pin and 6-pin PCIe connections from the power supply for proper operation. The card has a power rating of 294 watts so make sure you have a power supply that can handle the draw of this card. The Radeon HD 5970 also supports CrossFireX configurations for those lucky enough to be able to pair two Radeon HD 5970 video cards together for even more graphics horsepower.